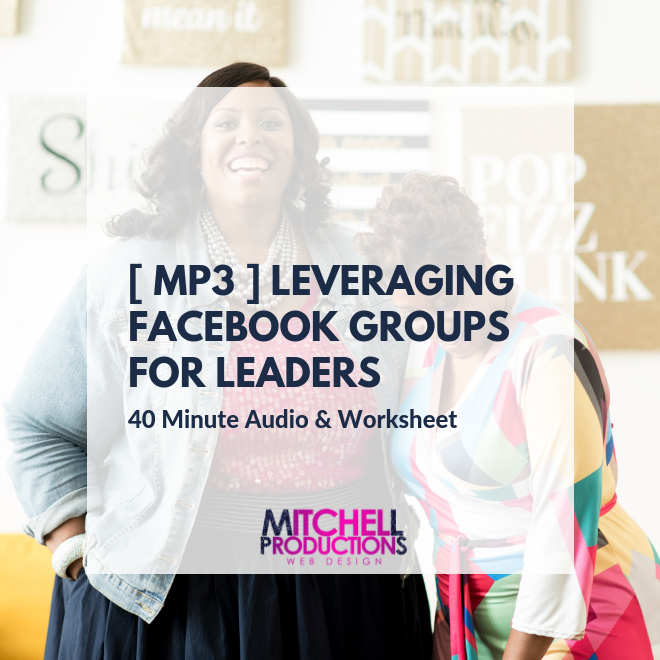 This audio session explains why YOU as a leader should have a Facebook community. We’ll discuss the mentality of Likes versus Community, three types of Facebook Group purposes/goals, benefits of Facebook Groups and establishing and marketing your group to customers. This 40 minute audio session comes with a workbook to make it easy to follow along and create an action plan!